These hardwood dowel rods can be used for woodworking, toy building, classroom projects, party crafts and camp craft projects. 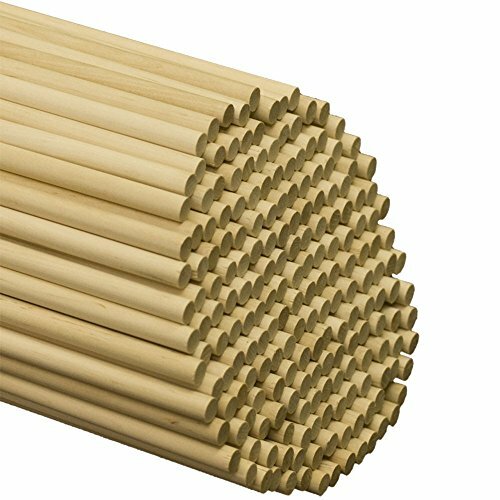 Wooden Dowels are Perfect for wedding, DIY scroll making,Photo Props and birthday cakes. Pair with a decorative wood end cap or finial for making banners and flags. You can use Unfinished wooden rods for a variety of craft projects. These hardwood dowels have been sanded smooth, stored in dry environment to maintain integrity. Hardwood dowel rods are Ideal for hobbyists, crafters & woodworkers alike, Kiln dried and machined to close tolerance. The possibilities are endless with these versatile wood elements. They are great for model building, home decor projects kids crafts & decoration and much more. Save on wooden Dowel Rods with our whole sale prices. 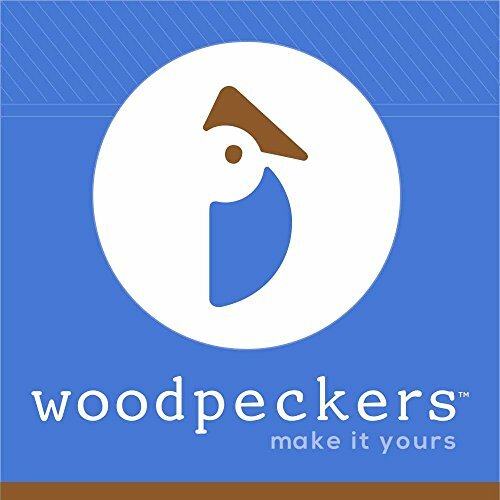 EXCELLENT QUALITY - The Wooden Dowel Rods by Woodpecker Crafts are made from high-quality wood and are much sturdier than any other wooden rods on the market. Perfect for your own craft projects, you can use these rods to make photo props for parties, wedding wands, puppet shows, baby shower decorations, and much more! GREAT VALUE - With the premium quality and fair pricing, this dowel rod pack is perfect for a wide variety of do-it-yourself projects. With so many rods in one package you will be sure to have enough for any craft project you may be working on. You will find that these rods are smooth to touch and straight & sturdy. SMOOTH WOOD RODS - There's no need to worry about getting splinters or hurting yourself with these wooden rods. These hardwood dowels are sanded smooth, making them perfect to use for almost any craft project you can imagine. Safe for kids and definitely fun for unleashing you and your children's creativity every time. IDEAL FOR CRAFTY PEOPLE - These versatile sticks are ideal for crafty and artistic people, hobbyists, and woodworkers. 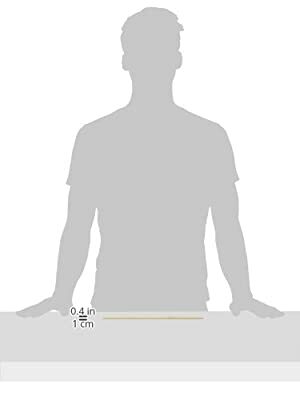 They are great for model-building, home decorating projects, kids' crafts and decorating around the house. Each rod is built to last a long time for whatever you use them for. Have peace of mind while using these wooden dowel rods for any project big or small. EXCELLENT CUSTOMER SERVICE - Our customer service personnel are all highly trained and ready to answer any of your inquiries or concerns. We will be glad to assist you.